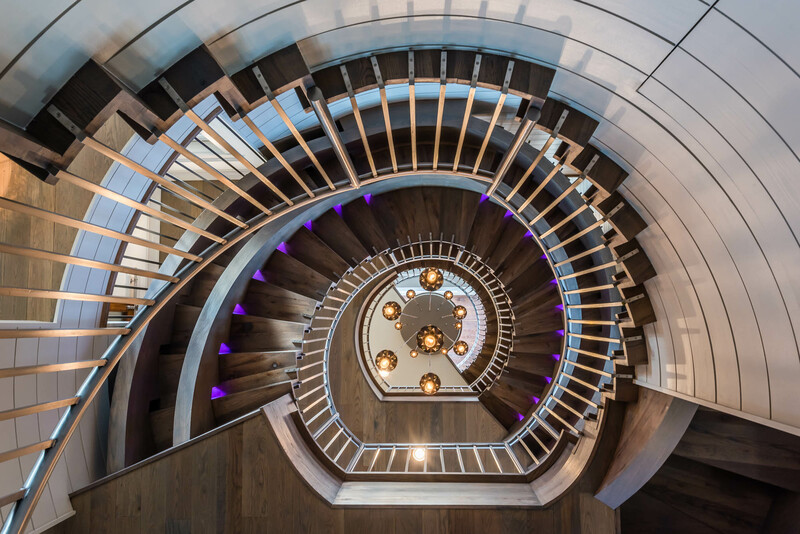 An example of E F San Juan's work is this elaborate staircase project with custom millwork at a private residence in WaterColor, Florida. YOUNGSTOWN, FL – “We have all learned what we think of most in life when everything is in peril, and it is not the things that can be repaired or replaced,” said Edward San Juan, president of E. F. San Juan Custom Moulding & Millwork, which is based in the northwest rural community of Youngstown, Florida. 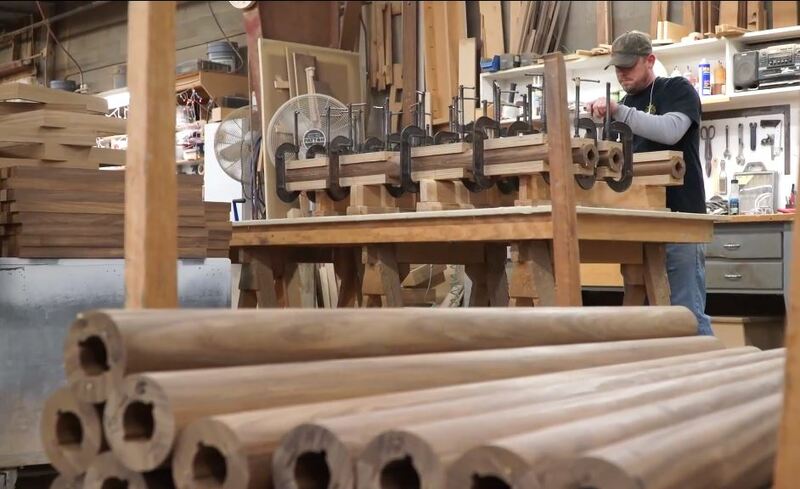 A third-generation craftsman of high-quality custom wood mouldings and other architectural millwork, San Juan was one of the hundreds of thousands whose lives were impacted by the Category 4 Hurricane Michael on October 10, 2018. The storm destroyed E.F. San Juan’s main production facility, but that didn’t stop San Juan and his team—including his father, Ed, his brother-in-law, Buddy, his wife, Mary Kathryn, and their son, Eddie—from getting back to work the week after the storm hit. This work included helping E. F. San Juan’s employees and neighbors, as well as continuing efforts to help those in the community rebuild alongside them. San Juan expressed his gratitude for the Bay County government and relief organizations’ quick response to the community’s needs and for helping to expedite the process of getting Youngstown back on its feet. “I’ve never been in that spot before—directly affected by a disaster such as this,” he said. “Today, we feel completely different about it because we’ve seen and experienced it firsthand. It’s an uplifting gift to see how people have responded. We decided to do Christmas bonuses early this year, with additional contributions from various vendors and individuals.” Those donations from outside the company were a welcome respite for E. F. San Juan’s sixty-five employees (they employed eighty before the hurricane), and San Juan expressed his great thanks to all who have given back to the community in many ways. Businesses such as Northwest Florida’s St. Joe Community Foundation, Disney, Alys Beach, Visit Florida, the Seaside Institute, and many others have made generous donations toward relief, while government aid and national organizations such as the American Red Cross, Salvation Army, and Volunteer Florida have been at the foreground of large-scale efforts. But it’s neighbors, friends, and local nonprofits that seem to be making huge impacts across the Florida Panhandle and parts of lower Alabama and Georgia. They have made supply runs almost daily since the storm hit, helped cut and remove fallen trees and debris, secured tarps on damaged roofs, and offered helping hands and shoulders to cry on for survivors. Donations, especially monetary ones, are still very much needed as these organizations continue to help people rebuild their lives. E. F. San Juan founders Edward F. San Juan and son, Edward San Juan. 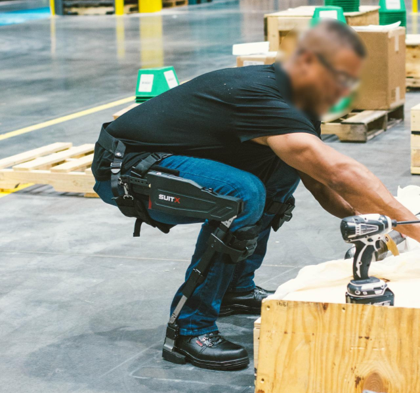 The company was back up and running just a couple of weeks after Hurricane Michael struck, and San Juan and his team have worked tirelessly since then to get back to full capacity. Their offices recently received a new roof and drywall, new paint, and new carpet, and the hardwood flooring was equalized and refinished. Concrete for the foundation of the new production facility was poured on January 7. E. F. San Juan's main production facility sustained major damage from Hurricane Michael on October 10 2018, and their offices were uninhabitable following the storm. The good news is they have just poured the foundation for a new production plant and moved back into the renovated/updated office in January. About E.F. San Juan, Inc. The San Juan family’s roots in woodworking can be traced back to the mid-1900s. At that time, Eddie San Juan, father of company founder, Edward F. San Juan, was the family patriarch and a master craftsman whose skill and entrepreneurial spirit formed the basis for E. F. San Juan, Inc. Three generations later, the E. F. San Juan companies have evolved from modest facilities and equipment to a state-of-the-art facility featuring the world’s finest woodworking equipment based in Youngstown, Florida. Coupled with a highly-skilled and dedicated workforce, the company continues to set the standard for quality architectural millwork in the markets it serves.